About Bailey's Buds 'n Blooms - Bailey's Tree & Landscaping, Inc. I am Emily Bailey, the proud owner of Bailey's Buds 'n Blooms in Sandusky, Ohio. I am the second generation of Bailey's Tree & Landscaping, Inc. and I am excited to help grow my family's business and offer new services and products for their loyal customers. I am a 2014 graduate of The Ohio State University Agricultural Technical Institute, where I studied Floral Design and Marketing. While a student at Ohio State, I was a member of SAIFD. 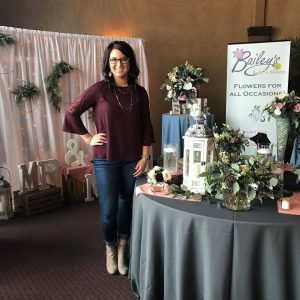 Just after graduation, I founded Bailey's Buds 'n Blooms to bring new fresh floral designs and offerings to the Sandusky area. Being creative and working with fresh flowers is what I love to do. No matter the occasion, I can create the perfect arrangement for you! I provide fresh flower arrangements for local delivery, home floral design, wedding and funeral and sympathy flowers and much more. At Bailey's our goal is to bring Northern Ohio the latest trends so you can be satisfied you are sending the best to your friends and loved ones. We offer prompt delivery, quality service with the freshest flowers and a 100% satisfaction guarantee. You can order fresh flowers for delivery directly online, or you can contact me at 419-625-2352 or eabailey011@gmail.com if you would like more information or if you would like to schedule an appointment for wedding or special event florals. 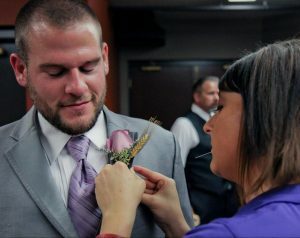 Make sure you like us on Facebook, too, so you can see our latest floral designs, rental offerings, specials and more.